In this article, we collect the drone laws in Venezuela for you. Although I did not find any official legal text when I was researching the drone laws in Venezuela, I came across a form with which to register for multicopter flights. On the document, you can choose whether to fly privately or commercially, choose different weight categories and make many other details about the desired drone flight. Most maneuvers for private users will probably be in the category of mini-RPAs. In addition to the information about the planned flight, you also have to specify which qualification you bring. There are various pilot licenses available. Apparently, there is a partial requirement to obtain an appropriate license. Unfortunately, I have not been able to get further information so far. 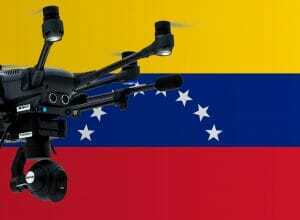 We have researched the listed drone regulations for Venezuela to the best of our knowledge. We cannot guarantee the correctness of the information. If you want to be on the safe side, contact the competent aviation authority. Alternatively, you can also ask the embassy in your country for further information about the regulations. Please leave us a comment when you receive news and/or gain experience with your copter in Venezuela!